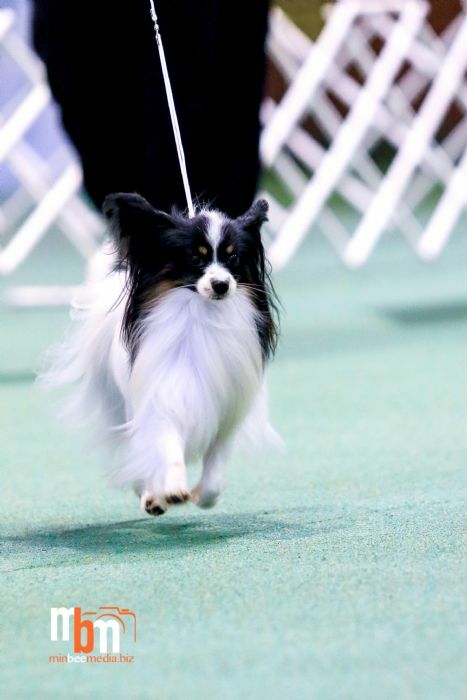 Byron is a stunning papillon well balanced, free and easy movement and correct to the standard. He is loved, and thoroughly indulged by Michelle and Robyn at TAPDOGS kennels. Michelle and Byron have a special bond that shines in the show ring, but nevertheless his antics are greatly missed here at Goodvibes. Byron grandfathers is the internationally known Uk / CAN/ AM SILVER GRAND CH LAFFORD FLY ME TO FARLEYSBANE, known by many as Dave. He like his litter sister Grace is a wonderful combination of BODEBI and JAROMA UK Lines and we look forward to watching this little man with attitude mature. Byron Best Papillon in Victoria 2018.